Sending a message to a candidate is simple! 1. 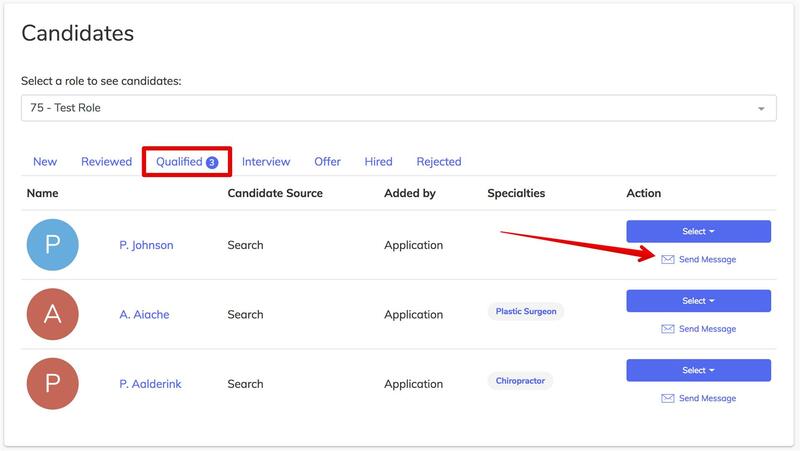 Add a candidate to your pipeline by adding them to a position (they can also end up in your pipeline by applying). 2. Move them to at least the Qualified Stage ( Qualified, Interview, Offer, Hired, Rejected). 3. Send them a message by clicking the "Send Message" link from within that stage (see example below). 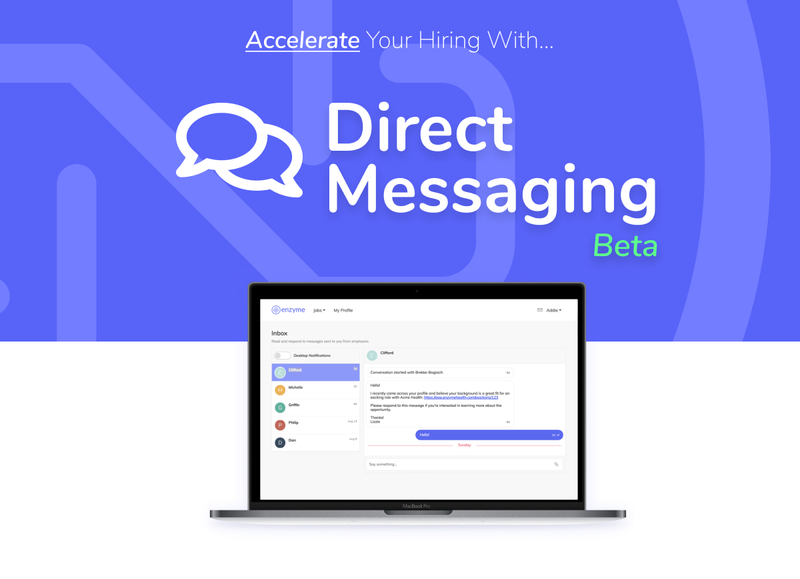 When you click the "Send Message" link, a conversation is immediately started with the candidate and we pre-populate the message field with a placeholder message. At this point you can either send the precomposed message or personalize it before sending. If you have messages, you will see a new envelope icon next to your name (see below for an example). 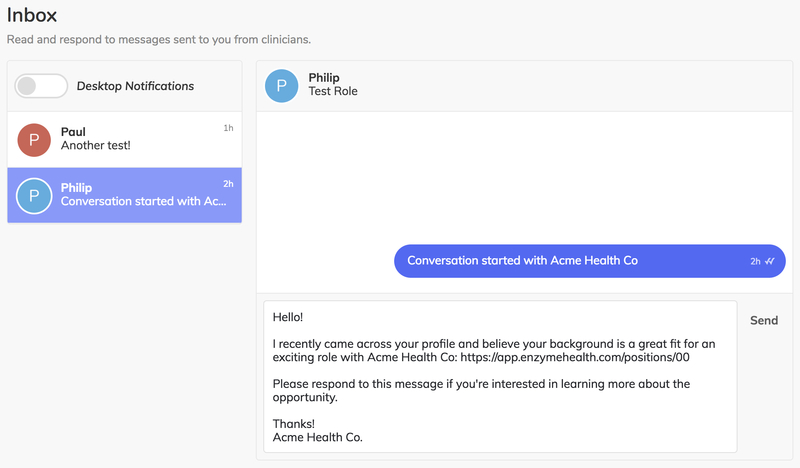 Clicking that envelope will take you to your inbox where you can read and respond to messages sent by clinicians. Don't see an icon? That means you haven't sent or received any messages yet. That's why you'll automatically get an email notification when you receive a new message when you're not logged in (example notification below). Can clinicians send me a message? Currently, only employers can start a conversation. 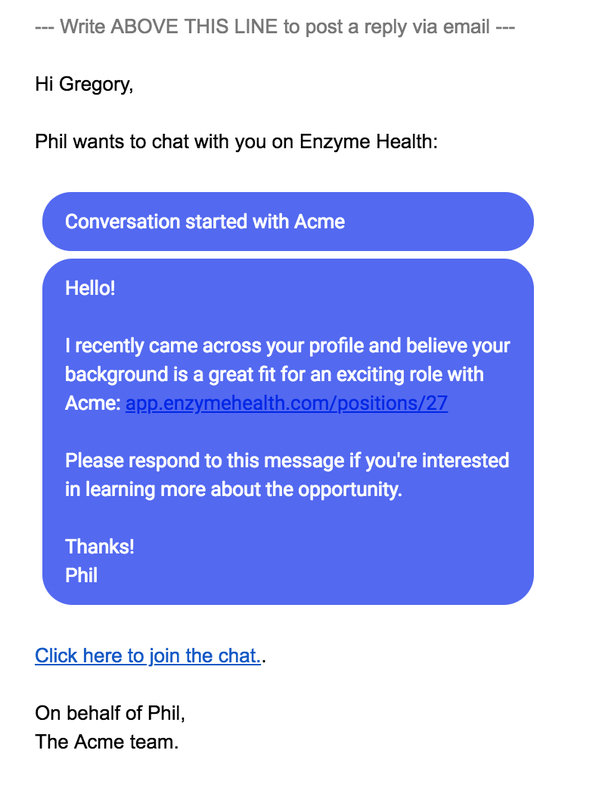 This means that although clinicians can send you messages after you contact them, they cannot reach out to you unsolicited. We're constantly listening to user-feedback to determine how our app should work and would love to hear from you should you have any suggestions!